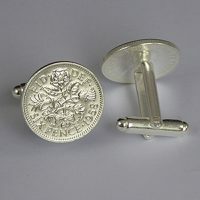 Minted up to 1927. 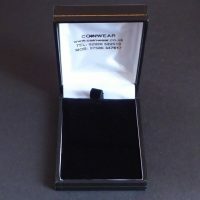 Not all years available. 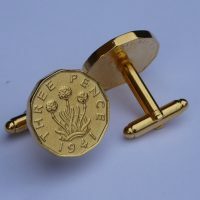 Price: £19.00. 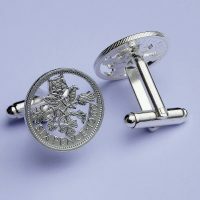 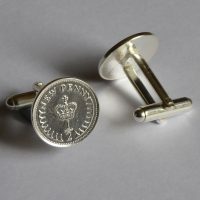 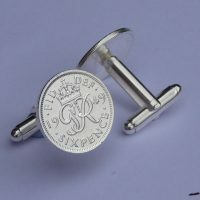 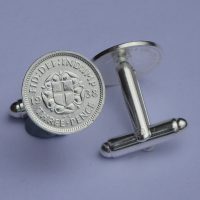 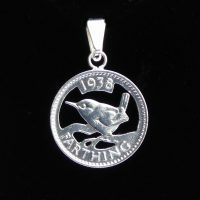 Sterling Silver up to 1919, Silver plated 1920 onwards. 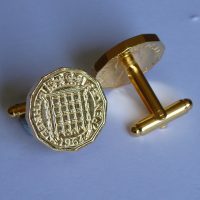 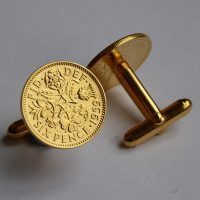 Minted up to 1936. 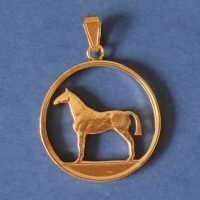 Not all years available. 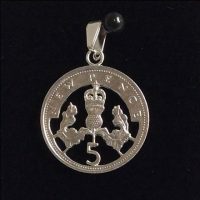 This beautiful small coin used to be put in to the Christmas pudding. 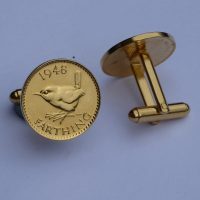 We have it available in 1937, 1938, 1940 and 1941. 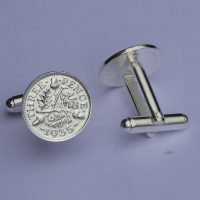 Price: £19.00. 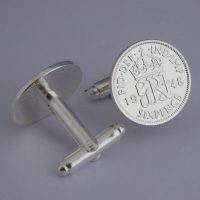 The original coin is 50% Silver and is also Silver plated. 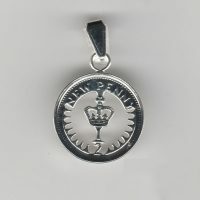 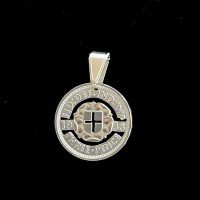 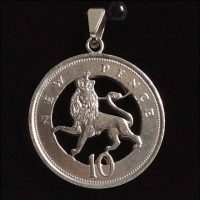 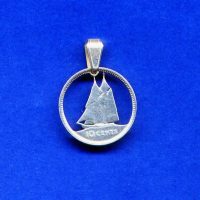 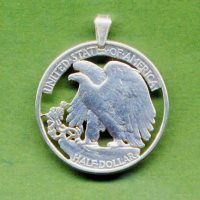 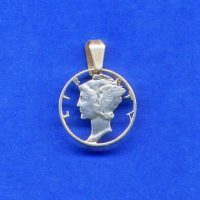 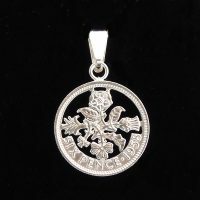 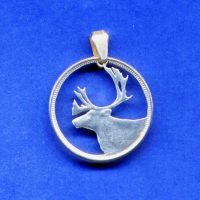 The Wren design stands out on this hand made coin pendant. 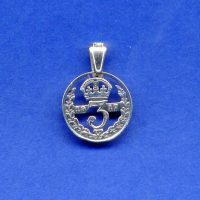 Available in 1937, 1938 , 1939 (80th birthday), 1940, 1941, 1942, 1943, 1944, 1945, 1946, 1947, 1948 , 1949 ( 70th Birthday), 1950 and 1951. 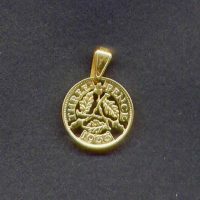 This necklace has been made by cutting out by hand the Thrift plant design on a Threepence coin and Gold plating to a very high quality. 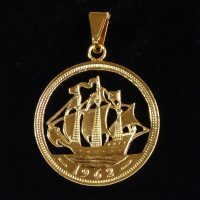 Diameter: 12 sided, approx 2cm..
On this page the years available are 1953, 1954, 1955, 1956, 1957, 1958, 1959( 60th birthday), 1960, 1962, 1963, 1964, 1965, 1966 and 1967. 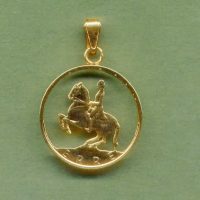 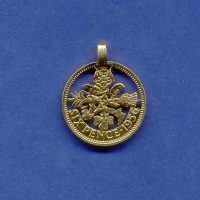 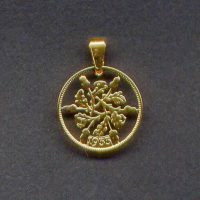 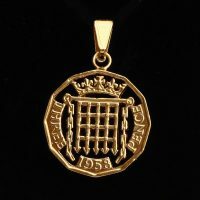 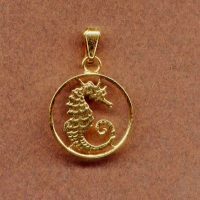 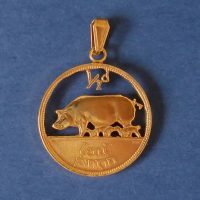 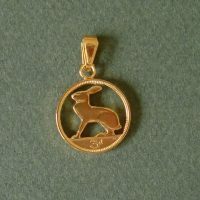 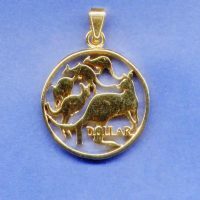 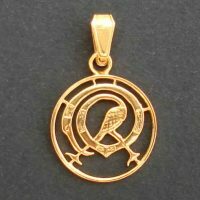 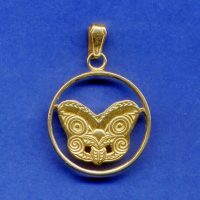 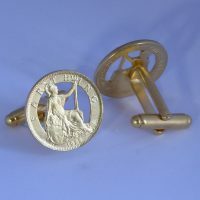 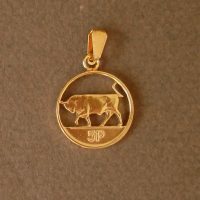 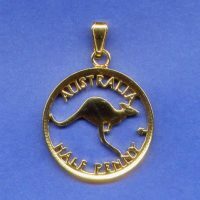 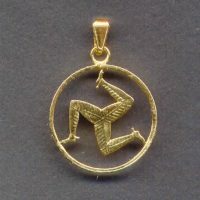 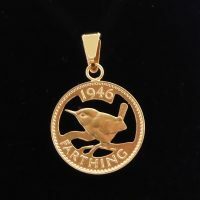 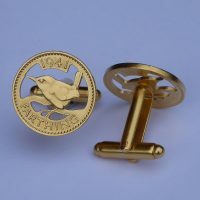 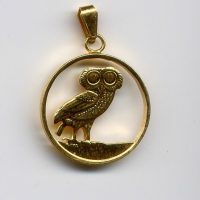 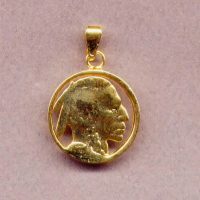 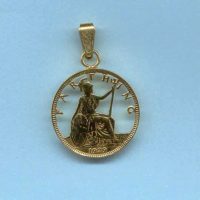 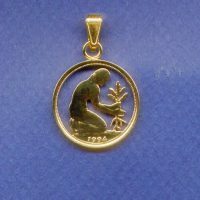 This beautiful Gold plated Wren Farthing coin pendant is available on this page in 1953, 1954 and 1955. 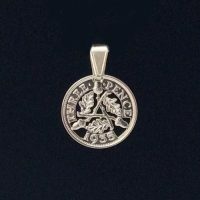 This coin necklace has been hand made by cutting out the design of the Thistle on a 5 pence coin and then Silver plating to a high quality. 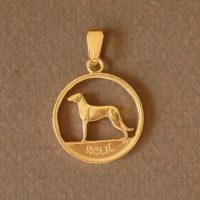 It can be personalised with a year of birth. 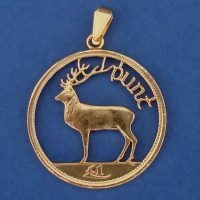 1969 is a 50th birthday. 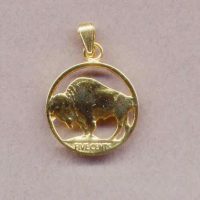 Available in 1968, 1969, 1970, 1971, 1975, 1977, 1978, 1979, 1980. 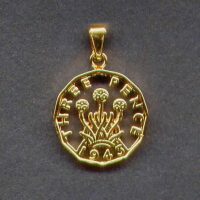 Diameter: 2.36cm. 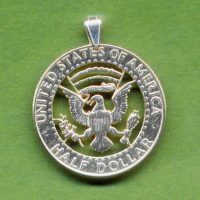 The year is on the reverse side of the coin. 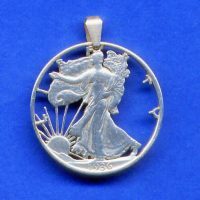 Sizes available are 16", 18" , 20" and 22". 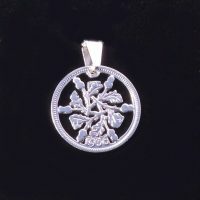 A gift box is included when you buy the chain.